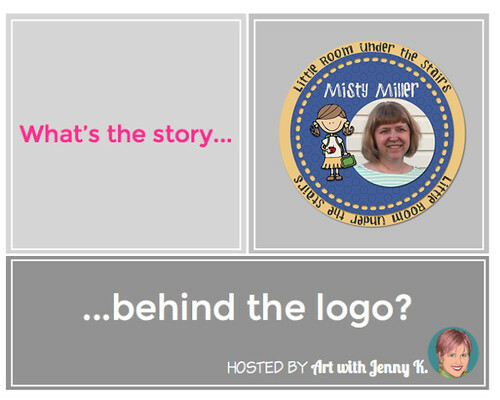 Jenny from Art with Jenny K. posed a great question - What's the story behind the logo? 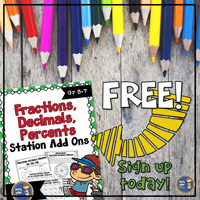 I kept some of the math items (I kept the math items in my headers) and added this cute little girl. Why? Because that's me. I always loved school when I was younger. I would also wear skirts a lot and pull my hair back. My store logo is very similar. 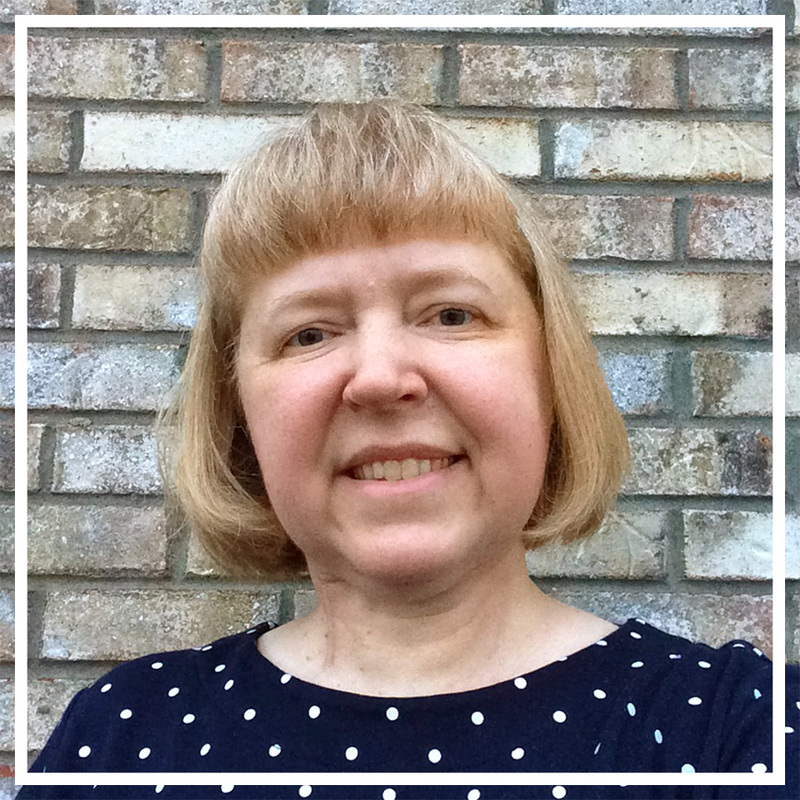 I wanted to keep the idea of my product logo and add my picture. Now the story behind my name. 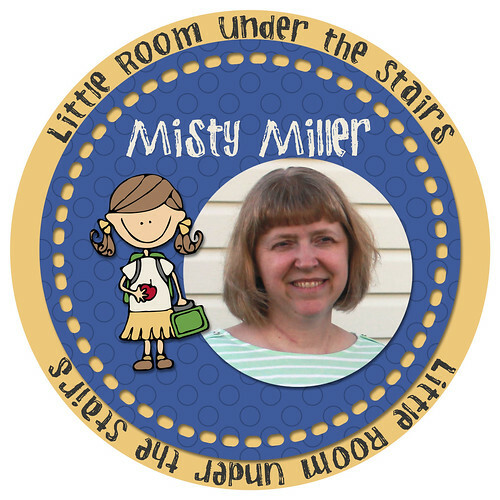 My TPT store is just my name: Misty Miller. I know - not very creative! I opened my store in August 2013 while sitting around bored to death after my surgery. I had purchased items from TPT before but never thought about selling. Then one day I thought, "Hey, I make things for my classroom. I bet I could sell some of the stuff." So I quickly opened and store and just gave it my name. So that's my story! What's yours? You can link up below. 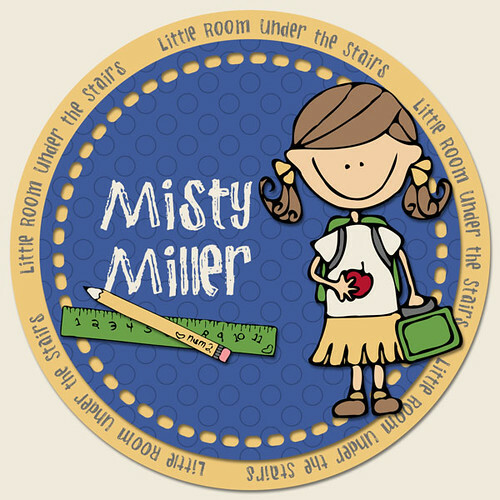 Misty, I love your logo and the little girls is so cute. Thanks for sharing! 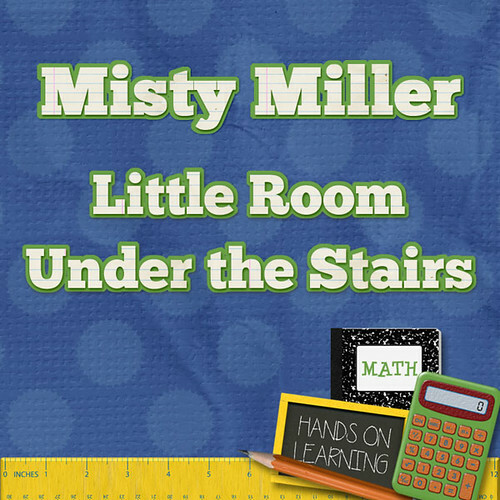 I love the "little room under the stairs" that is so cute!! 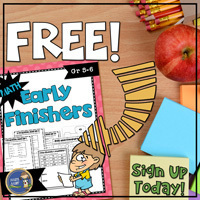 !---what a memorable year for your students ...the year they were "under the stairs"...I love the cut out holes in your logo--the banner of your blog is so nice...thank you for linking up!! !